It's every serious group's desire to craft an identifiable, and as far as possible, a unique sound whereby just a few notes leave little doubt about who's playing. 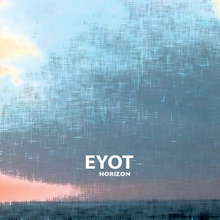 Serbian quartet Eyot achieved that with its splendid debut, Horizon (Ninety and Nine Records,2011), where minimalism and power went hand-in-hand in an intoxicating mix of jazz, art-rock, classical and Balkan folk melodies. Pianist Dejan Ilijic's compositions were defined by the layering and interweaving of rhythms and motifs, all but eschewing solos in the traditional sense. Drifters largely follows the same blueprint, though there is perhaps greater density in the group's sound. Repetitive, driving rhythms, repeating, interlocking piano melodies and gradual build up and dramatic release of tension are evocative at times of pianist Nik Bärtsch's Ronin. However, stronger melodies coupled with guitarist Sladjan Milenovic's atmospheric tapestry also conjure Radiohead's spirit. It's a potent brew, wonderfully illustrated on the brooding opener "She is Dreaming of a Better Day," where Ilijic's plaintive melody is swept up in the rising swell of the collective voice. After four minutes, the guitar enters like lightning piercing a mass of rumbling black clouds and unleashes a series of power chords that ratchet up the tension still more. The ensuing and inevitable release of tension is equally explosive. 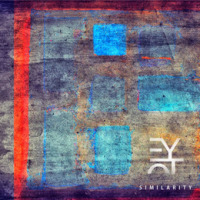 There are more strings to Eyot's bow, namely subtlety and tunefulness. "The Crest of a Wave," which follows the incendiary opening number, is a light and uncluttered piece of sophisticated pop, with guitar and piano plotting the contours. Unfortunately, it rather gets stuck in a groove towards the tail end. More satisfying is the equally minimal "At Source"; the catchy motif and slow-burning groove gives way to gently tumbling, unmistakably Serbian-influenced piano figures that gather fluidity and strength. On this hypnotic number Ilijic displays the knack shared by pianists Neil Cowley and Stefan Rusconi, of tapping the emotional and rhythmic dynamics of the piano without resorting to a constant flurry of notes. Drummer Milos Vojvodic's trip-hop rhythms and bassist Marko Stojiljkovic's molten undercurrent drive the aptly titled "Coils"; riffing piano and guitar stoke the fire of a tightly woven, strong collective statement where ego is sacrificed to unrelenting groove. A similar modus operandi governs "We'll Get There"; swirling synthesizer adds a '70s prog rock touch to a simple composition of undeniable momentum. Ilijic and Milenovic stretch out a little more on the funky "Firebird," sandwiched between the epic title track and the intense closer, "The View through the Blurry Window." The latter matches the enveloping intensity of the opening number and after a heady ride seems to drift away into the blackness of space. Taken together, these two compositions provide striking bookends to an absorbing musical journey. 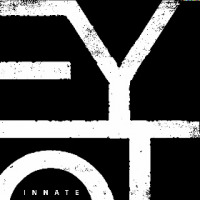 It doesn't take too great a leap of imagination to see the power of Eyot in concert. 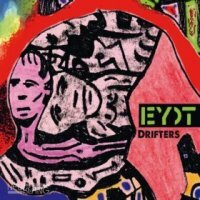 That fact Eyot has played jazz, punk and rock festivals, as well as in Cultural Centers, says something about the special chemistry of the diverse musical elements that makes Drifters such a rewarding experience and a fine follow-up to its debut. A band to watch out for. Track Listing: She is Dreaming of a Better Day; The Crest of a Wave; At Source; Coils; We’ll Get There; Firebird; Drifters; The View Through the Blurry Window. Personnel: Dejan Ilijic: piano; Sladjan Milenovic: guitar; Milos Vojvodic: drums; Marko Stojiljkovic: bass.